Bailey and 4 siblings were born to an outside mom and rescued by a true animal lover. All including mom were fixed, dewormed and defleaed, vaccinated and microchipped. Bailey is a sweet tabby boy and very playful. He is hoping to be adopted by someone with a young cat or along with his litter mate Baby. Growing up in the company of his own kind is so much richer than by himself. 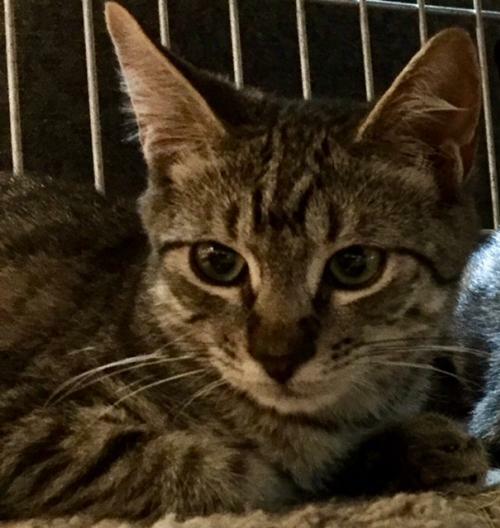 If you are interested in adopting this adorable tabby boy now 8 months old please contact Antje at 562-212-7792 or email aljagd2018@gmail.com. A tax deductible adoption fee of $125 helps cover the initial medical costs.